Add some polish to any clothing ensemble with these stylish Venettini classics. 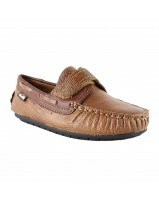 He will look spiffy wearing the Samy 4 loafers by Venettini. These fine-looking, classic Venettini velcro loafers are sure to be a comfortable addition to your little boy’s wardrobe. Hop into cute and comfortable style with Venettini® Kids. 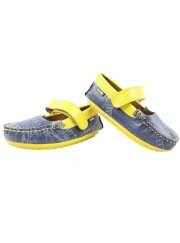 Let your child enjoy Venettini’s outstanding style with these fashionable loafers.